CHILL out! man: Extended Play! - Zine on sale now! Extended Play! - Zine on sale now! Hello everyone, No photos this weekend. I haven't had too much time to go out with class starting, but I do have something else for you. About a year ago, I had a zine I made printed and didn't really advertise it much, but now I'm here to sell it! 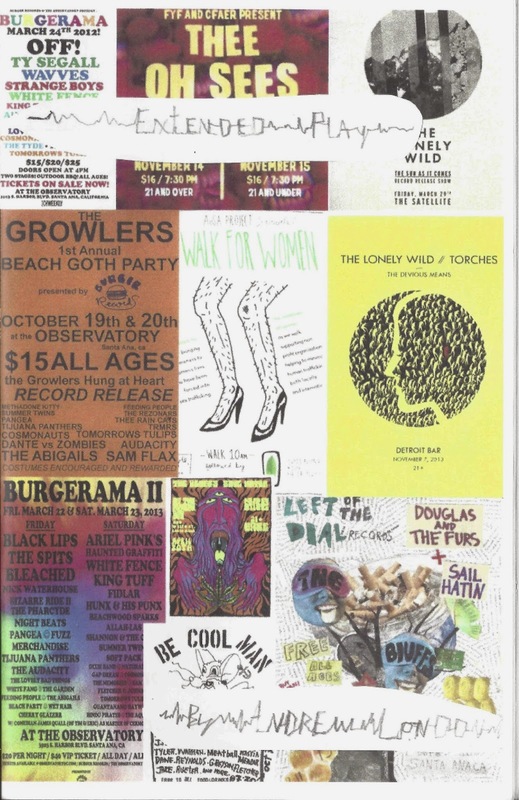 It includes 30 Pages of photos, articles and interviews from various bands big and small in Southern California like, the first annual Beach Goth Party, Burgerama II and even photos of the Hindu Pirates back in 2011. I don't have a whole lot so physical copies are limited, but I have a PDF version too! The physical copies will be a bit more, about $3.50 after shipping and everything, but 50% will go to the Non-Profit charity: A Dogs Life located in Los Angeles, California. The PDF copies are easier to distribute, so those will be 2 dollars. Physical Copy: $3.50 - 50% to charity! PDF: $2.00 - 50% to charity! *Chill-outman.com is in no way affiliated with A Dog's Life. eBay will just be siphoning 50% of your purchase towards them.